In these tough economic times everyone has felt a pinch in their pocket book from time to time. Bills for the phone, credit card, cable ... it can all add up quickly to take a big slice out of your monthly income. What if your cable bill suddenly doubled in price; how would that affect you? What if you were dependent upon that service to connect you to the world, and, what if that connection was the key to your livelihood? Now, what if that increase in your bill was multiplied by hundreds of times; how would that change the picture? Suddenly that simple pinch in your pocket would become a crushing expense, affecting your bottom line in devastating fashion. A major oil and gas exploratory and production company faced a similar problem. Over time they’d become accustomed to paying a third-party, hosted, process control and data acquisition service. Oil and gas companies often must collect a large amount of data from many places. Ignition easily handles a large data load, and makes data monitoring and analysis cost effective because companies don't have to pay by how much data they are processing or how many users have access to the system. The hosted service reported data about the company’s numerous principle reserves and producing properties. With 1,800 well sites across Arkansas, Louisiana, New Mexico, Oklahoma, Texas, Utah, Wyoming, and Canada the service was essential in monitoring the 120,000 I/O points from the flow computers on each field. They sought to break away from their dependency on the third-party control service by bringing control and data acquisition capabilities in-house. A web-based solution was desired in order to connect the approximately 300 employees who needed access to the data daily on both the field and corporate level. In order to avoid the downtime a transition to a new control system could bring, the company required a control system solution that was easy to use and customized to what staff were familiar with. When the company had assessed all their needs, they contacted Louisiana-based process automation and control firm, Failsafe Controls, to find a solution. 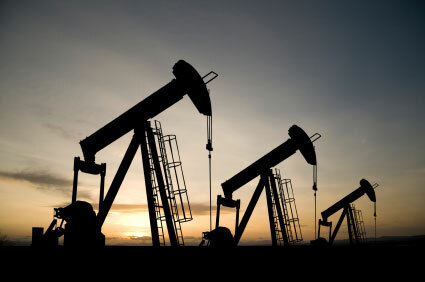 Failsafe Controls is a leader in managing products and services for the oil and gas industry. They have built a reputation for using state-of-the-art process control and automation technologies to provide excellent service to their customers while saving them money at the same time. Failsafe’s client uses Ignition for real-time data acquisition from thousands of flow computers located at well sites all across North America. The flow computers monitor the gas flow levels at each field. Ignition’s cross-platform, web-based architecture allows for easy collection and storage of historical data to a central server. The data can be securely accessed from the server, using the latest OPC-UA protocols, allowing for easy compatibility and robust security. Since Ignition is web-based SCADA software, it is licensed by the server, not the user. Once Ignition is installed on the server, it can be launched to an unlimited number of clients. It also allows for an unlimited number of connection points. This translates into huge savings, because companies don’t have to worry about buying individual licenses for each user or paying for new connections. In addition to saving money now, companies can rest easy knowing that Ignition’s scalability ensures things will stay that way. Other SCADA software can require individual licenses for each user, which means increased costs as the company grows. With Ignition, the software can grow with the company. As new employees are hired, new clients can be launched at no added cost. A major concern of Failsafe’s client in transitioning to a new control system was the downtime it might take for the staff to learn a new system. After a meeting between the client, Failsafe Controls and an Inductive Automation design specialist, Ignition’s customization and functionally became clear. They mapped out a solution using Ignition’s flexible designer to build the new system to mirror the current hosted service. The best testament to the effectiveness of the support is the end result. After five months of using Ignition, the client reports that they have not experienced a single downtime event. When the economy is uncertain, it can force businesses to reevaluate their expenses and ask tough questions. Such as, are we getting the most for our money? Thanks to Ignition, Failsafe was able to give their client something altogether uncommon in today’s business climate – more than what they paid for! Not only was their client able to break away from their old hosted control service, they were empowered with in-house SCADA functionality. Ignition gave them the solid foundation and powerful tools to control and monitor their system. Inductive Automation’s expert support allows them to move confidently forward into the future.